With every passing day, we’re drawing close to the alleged April 3 launch of the Moto E5 lineup of devices. 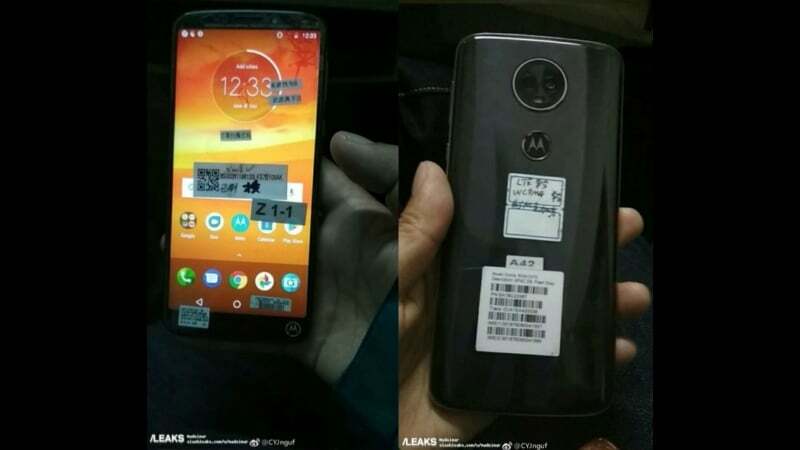 Today, the bigger variant of the Moto E5 series, the Moto E5 Plus’ real-life images have leaked online showing off the design and confirming the rumoured design aspects. The Moto E5 Plus, like the entire 2018 Motorola lineup will feature an 18:9 display to the front along with a dual camera setup at the back. The presence of dual cameras at the rear of Moto E5 Plus created a lot of buzz on the internet, however, it seems like there’s indeed a secondary sensor on the smartphone as per these renders. The Moto E5 Plus will sport an 18:9 display to the front and as per earlier rumours, it will be a 5.8-inch panel with a resolution of 720 x 1440 pixels. Last month, Evan Blass, the popular tipster leaked a render of the Moto E5 Plus which has the same dual camera design, but later on, Blass claimed that there wouldn’t be any secondary camera on the E5 Plus and it will still come with a single snapper at the back. However, another tipster Andri Yatim, who is known for his accurate Motorola smartphone leaks has confirmed that the E5 Plus will have a depth sensor. That said, today’s real-life images also has a dual camera setup, hinting the phone will come with a dual camera setup like the Moto G6 series. Below the rear camera module, there’s the Moto logo which will also house the fingerprint scanner, and it’s clearly visible too. To the front, below the display, there’s ‘M’ letter in a circle, which isn’t necessary, but Motorola has added it. Above the display, there’s a front-facing camera along with an LED flash, which are clearly visible too. These images did not reveal the ports and button placements. Hardware specifications of the Moto E5 Plus include a quad-core processor (probably a MediaTek processor or Snapdragon 430 SoC), massive 5000mAh battery which is the USP of the smartphone, HD+ display as mentioned above, and Android Oreo out of the box. The entire Moto E5 series is expected to launch on April 3 along with the Moto G6 series. The Moto E5 lineup has the standard Moto E5, bigger Moto E5 Plus and a smaller Moto E5 Play smartphone.